Fans of bellinis and cosmopolitans are invited to get their tickets now for our fa­bulo­us­fun­dra­isi­ng cocktail night. The evening, being held at The Plough in Oswaldtwistle on Friday June 21 will see live music, canapés all night, a prize raffle and disco with the last few tickets on sale for just £5 each. Men, ladies, and groups of friends aged 18 and over are all welcome to sample some tasty cocktails and great live music. 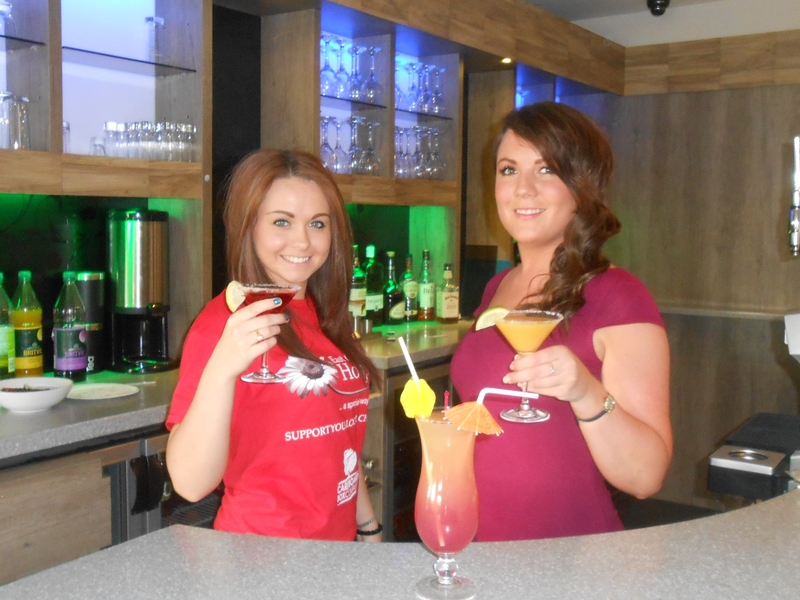 All proceeds from the sale of bellinis on the evening will go to the hospice, as well as a percentage from the sale of each of the other cocktails purchased. Doors open at 8pm. Event entry is strictly by ticket only. Call the hospice on 01254 733412 or the Plough on 01254 230 203 for tickets. Hospice fundraiser Leanne Green (l) tries one of the cocktails made by Claire Broadley, bar person at The Plough.